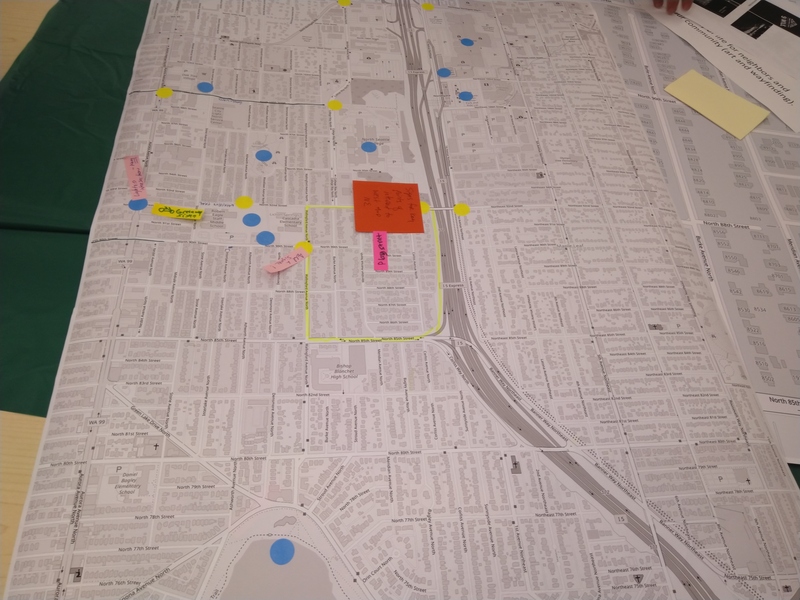 Yesterday around 50 Licton Springs neighbors came together to provide input for the upcoming Home Zone pilot that targets the Southeast corner of Licton Springs. 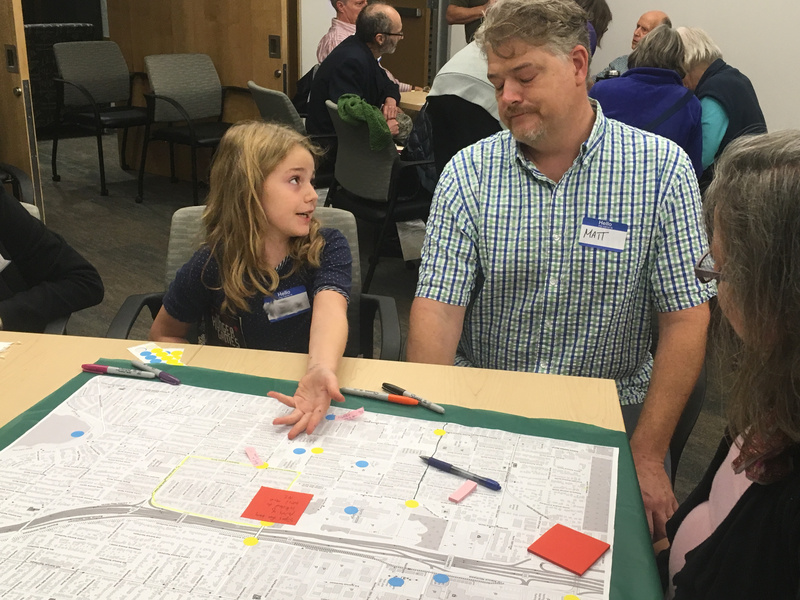 After a brief introduction about the desire of the pilot and the inherent limitations due to a small budget size, neighbors split up into groups to separately tackle traffic calming, community art, and wayfinding. Significant and fast cut-through traffic through both Meridian and Corliss which, combined with lack of sidewalks, causes an impediment to pedestrian activity. Fast traffic is coming down the hill from 90th and Meridian to 90th and Burke. This area already has a lot of pedestrian activity, but speed combined with the lack of a safe intersection has already led to a collision and many near collisions with both pedestrians and other vehicles. I don't understand the problem this is fixing. Closing Meridian does nothing for the 90th Street Burke hill, through which half the neighborhood drains out, will make the backup at 92nd & College worse, while causing daily irritation and delay for the other half of the neighborhood in getting home (or causing them to speed down the hill on 90th north of Meridian, too). Traffic calming on the Burke hill I'm all in favor of, but don't understand the benefit for the rest. With regard to the current proposal, at 92nd and Meridian I would prefer that it be a "local access only" sign instead of a one-way street / do not enter sign. I like the idea for the street planters, stop signs, speed bump at 90th and burke, and the street art at 88th and burke. The North Greenwood traffic calming maze is a nightmare. What do the residents over there think about having to drive many more blocks to get where they want or the increased east/west traffic down their formerly quiet residential streets? So I am skeptical about the proposed Home Pilot Program. The plan that the people living at the north end of Meridian to get home from College Way now, instead of a left turn, one block, right turn and into driveway, will be making a right turn, one block, stop, left turn 2 blocks, stop, left turn 2 blocks stop, left turn, weave among planters and finally home. Also, since I live on Corliss, I'm not happy at the prospect of increased traffic from cars trying to get to Meridian from the East. There are a LOT of pedestrians, (students, elderly, young families, dog walkers) that use our sidewalk-less street. I plan to make a count on a weekday to corroborate that statement. Are not the proposals to close off access to 85th at Meridian and put a stop sign at 90th sufficient to really cut down traffic volumes and speed? A Local Access Only sign at 92nd and Corliss is fairly meaningless. I hope you put the walking sign at the corner of the school grounds and not in someone's front yard. The speed bump crosswalk at N. 90th and Burke is fine if it is something the people in the houses at that corner feel is necessary. It is a residential intersection at the bottom of a steep hill with parked cars often making progress to Wallingford slow anyway. Cars SHOULD be crawling there. As for the proposed art, no comment until I see what and where. I like many of the ideas (stop signs and planters on Meridian Ave N), with the exception of blocking southbound access to Meridian Ave N at N 92nd street. The reason for not preferring this option is that in wintertime during snow conditions southbound access provides a safer route home (avoiding steep hills) and that blocking access would lengthen the drive through residential neighborhoods to get to my home. My observation is that most of the problem with fast cars driving through the neighborhood in the morning is due to northbound cars (not southbound cars). Thanks for your consideration. 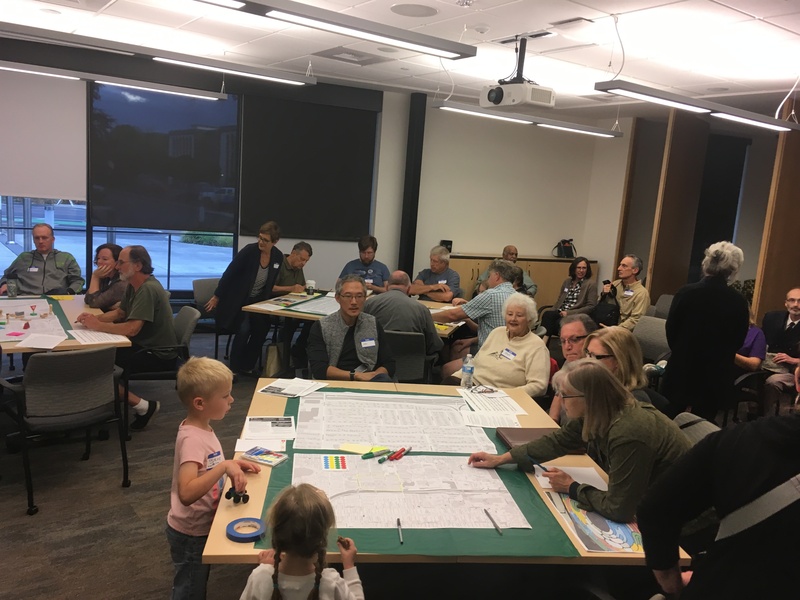 After discussion, the community seemed to coalesce around the idea of working to limit speed on both Meridian and Corliss with inexpensive traffic calming measures, rather than entirely block access. Intersection art at 90th and Burke Ave N. The hope is that this would clearly mark the intersection encouraging vehicles to slow down and yield for pedestrians. Wayfinding signs in various forms throughout the neighborhood. Traffic calming measures, such as strategically placed planters and/or chicanes, evenly applied on both Meridian and Corliss. Setting up a weekly play street on one of the unsidewalked blocks. Pedestrian activated crosswalk on 90th and Wallingford. With the immediate next steps focused on art and wayfinding as traffic calming requires permit approval from SDOT and will take more time to put in place. There is still plenty of time to provide feedback or get involved! To do so take the survey or email [email protected]. You can also keep up with the latest on the home zone at bit.ly/walkzone which I'll do my best to update as more input is gathered and proposals are modified or implemented.